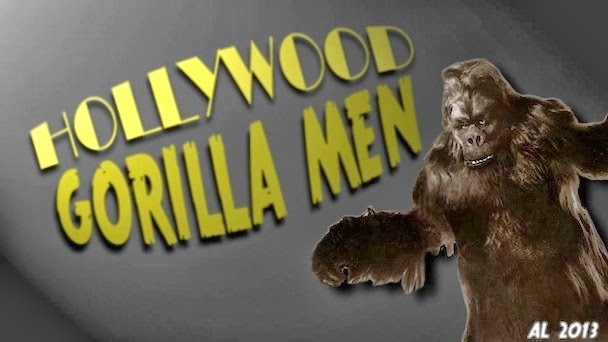 Hollywood Gorilla Men: Preserving Gorilla Men History: We Need You! 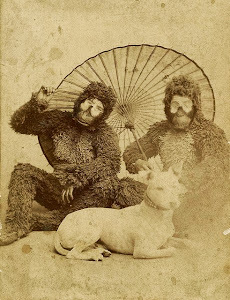 Preserving Gorilla Men History: We Need You! 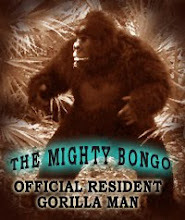 Attention all gorilla suit devotees and sci-fi film fans. It has just come to my attention that a concerted effort is underway to fund a project to profile Bob Burns, last of the great classic Gorilla Men and custodian of genre film history. The documentary is spearheaded by the artist Frank Dietz, a name familiar to Monster Kids everywhere. I have included below Frank's pitch and links to the pledge site. They are so very damn close to their target, it would be a damn shame to see them start from scratch - the fund drive concludes on August 31st. I have pledged what my wallet can bear and I encourage you to do so. Every dollar makes a difference. 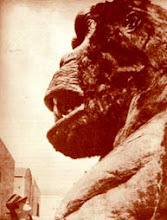 If you have any affection for the history we celebrate here at Hollywood Gorilla Men, spread the word. We want to make this project a quality production, utilizing a professional crew and an experienced documentary editor. This, of course, requires funding. So, with Bob and Kathy's blessing, we have launched a Kickstarter campaign to raise the funds we need to complete our film. Kickstarter is a highly successful online platform by which creators can pitch their projects, and anyone can contribute to it's set goal. In return, the project offers rewards to those who pledge, from DVD's to T-shirts to trips to visit the stars in Los Angeles. The bigger the pledge, the greater the rewards. But Kickstarter is an "all or nothing" program. If we reach our set goal in the set time, we get the money. If we don't reach it, we get nothing, and the pledges are not collected. It's that simple. Trish and I have set our goal at the absolute minimum needed to shoot, although we could use more for promotion and distribution of the completed film. So we have 20 days to raise $11,000, or we go back to square one. If you would like to help us reach our goal, please visit our project page. There you will be able to watch a short test video we've created that gives an idea of the film's content, plus more information about BEAST WISHES, and a list of the cool rewards available for contributors. Of course we understand if you are unable to donate, for whatever reason. If you can't, perhaps you could assist us by sharing our mission with others who might be able to help out. Either way, you would have the extreme gratitude of myself, Trish, and of course Bob and Kathy Burns. This is going to be - as Bob would say - a "really, really cool" project. We would all love to have you join us on this great adventure! Thank you, from all of us, for your consideration. George of the Jungle !